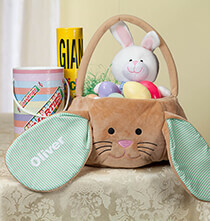 Celebrate Easter in fun and meaningful ways with our wonderful collection of personalized Easter gifts. 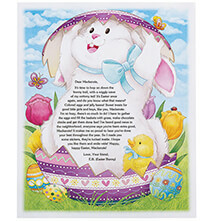 Find Special Easter gifts for kids and adults that range from spiritual to whimsical. 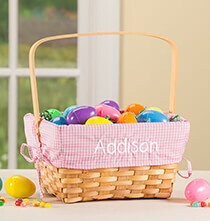 The Easter bunny is pretty busy this time of year, and you can lend a helping hand by choosing one of our fun Easter baskets. 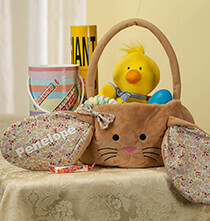 Our customized baskets are made with quality materials, and they can be reused again, if desired. 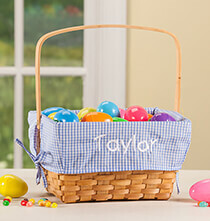 By adding a first name, you can quickly personalize each basket for each gift recipient. 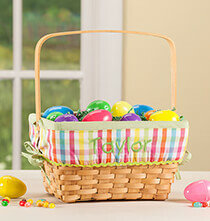 Fill our baskets with Easter eggs and treats to create plenty of smiles and laughter. For many, the true meaning of Easter is represented by a cross, and you can find a cross to give someone on Easter Sunday. The cross styles we offer are simple, yet powerful, and you can add a first name or message of your choosing. Give someone their own personalized copy of the most popular book in the world. The Holy Bible is a classic gift that comes in handy for Sunday School and Sunday church services. 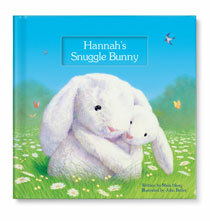 Easter is a great time to give a child, teen or adult a bible they’ll cherish for a lifetime. 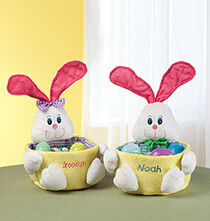 Appreciate someone special in your life by giving them a religious keepsake box. These boxes typically have decorative accents featuring a cross or some other religious symbol. Gift recipients can store jewelry, rosaries and other treasures inside. 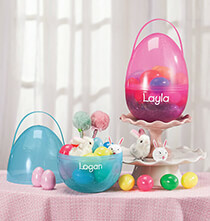 Make Easter a blast for kids with our fun gift selections. 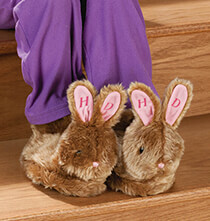 Our plush stuffed bunnies make wonderful gifts, and they’re great snuggle companions. 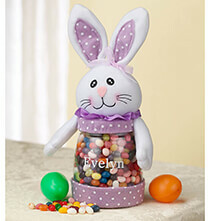 Alternative stuffed companions are also available. Books are always appreciated by children who enjoy reading and learning. 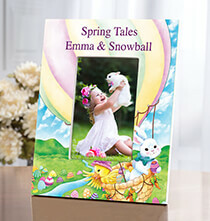 Browse our collection of illustrated hardcover personalized storybooks for boys and girls. Kids get a kick out of being a part of the story. 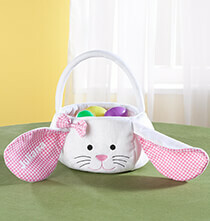 We also offer a range of gift items such as kites, lounging chairs, unique bags and blankets for kids to enjoy.